Considering cutting the cord? Perhaps after reading this you will do it. I love my OOMA Service! Back in 2011 I was laid off of my job of nearly 15 years. One of the things we did then is look at our income vs. expenses. We were looking ways we could save some money by reducing expenses or eliminating things all together. Month after month we were paying ATT $35 per month just for local phone service and then an additional 10+ in taxes on top of that. OOMA was something that’s allowed us to cut the cord and save a bundle of money along the way. 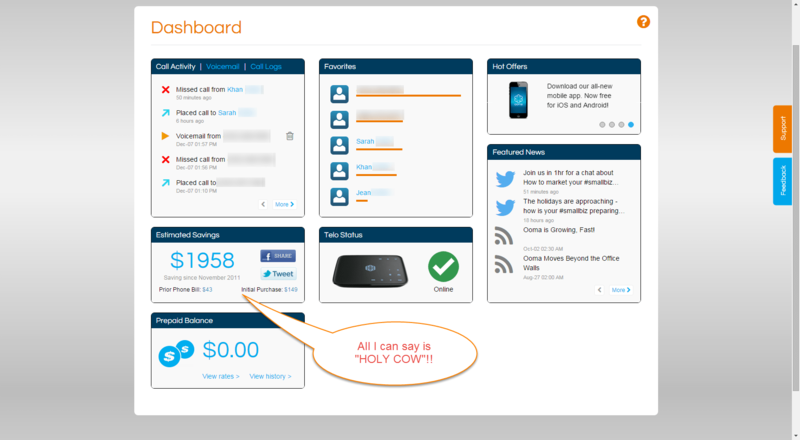 I looked at a number of services such as magicJack, Vonage, etc. but none of them did what I really wanted. 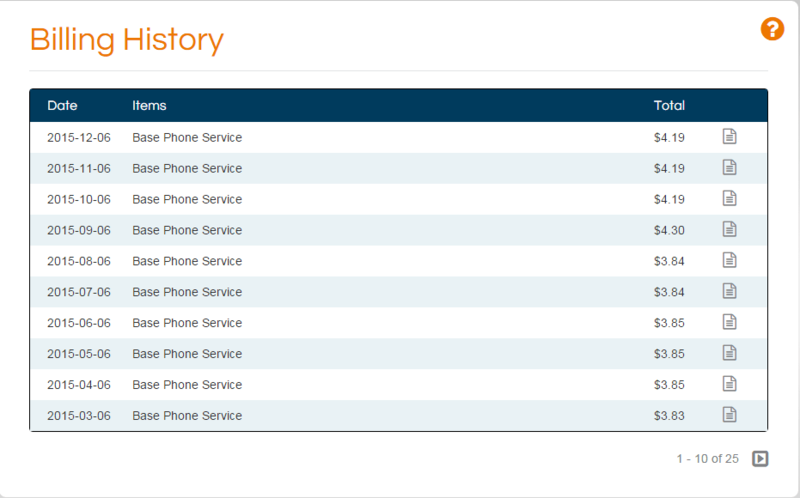 Vonage would have been replacing one phone bill with another (just a bit cheaper than ATT). One of my close friends had been sharing with me for years his experience with OOMA and how much money his family had saved since switching. Saving roughly $45 every month can add up quick. Having 5 kids who all have friends that call or vice versa we debated just cutting the cord and using our cell phones exclusively as many people have done. I had a problem with that. I don’t know about other families with kids but my kids don’t take care of anything – especially expensive smart phones! There was no way I wanted to let my kids use a $600 smart phone to talk with their friends! Plus, my wife and I share 1000 minutes every month and kids talking on the phone could use up all of that time pretty quick and I didn’t want to pay exorbitant prices just for chatting! Additionally, if we were ever gone and the kids needed to get a hold of us I wanted to have a phone in the house. Today when I logged into my OOMA Dashboard there was a widget there that showed that since I signed up in 2011 I’ve now saved $1958. I had to purchase the device for $149. Today, you can purchase the OOMA hardware cheaper than what I did a few years back. If you’re patient and wait for a promotion then you can really save a few bucks. Below you can see a screenshot of nearly the past year of my monthly bills. Here are the past few months of my phone bills. So with OOMA, all we’re doing is paying taxes and fees after making the initial investment in the hardware for OOMA. That has brought our monthly phone bills from $40 – $45 just to have local service down to now roughly $4.25. The savings adds up very quickly. Once we purchased the hardware I connected it to our network at home and simply plugged our Panasonic base station into the OOMA hardware. That allows us to keep using our cordless phones just the same as if we had a land line. To set it up I just had to create an OOMA account, choose whether I wanted to port our existing phone number that we had for nearly 10 years, and the level of service. OOMA has 2 plans for homes: Basic and Premier. Recently, OOMA has added support for those with Nest smart thermostats. Of course they also sell accessories too. My only regret is that we didn’t switch to OOMA sooner rather than just 4 years ago from ATT! Why didn’t I switch any sooner?!?! My parents and one of my siblings have also cut the cord and switched to OOMA just like we did. If you want to take a peek at a comparison site I just found comparing Ooma, magicJack, Vonage, etc. click here. Previous story Use AVG Free AntiVirus? Be prepared for your privacy to be violated.